Authors are generally at the mercy of their publishers when it comes to titles, and I rather wish we could unofficially outlaw words like "unknown" or "forgotten" in them. Really, how forgotten can something be if it can draw on a rich existing scholarship, a great deal of which is recent vintage? Anyway, that micro-rant aside, I am greatly looking forward to reading A Forgotten Front: Florida during the Civil War Era edited by Seth A. Weitz and Jonathan C. Sheppard (Alabama, June 2018). My own interest in Civil War Florida was sparked by a trio of fascinating titles from the 1990s, all of which were published by University of Alabama Press. William Nulty's Confederate Florida: The Road to Olustee (1990) started it all for me with a fine overview of the Civil War in the state along with a very good study of Florida's largest and most well-known battle. Later, George Buker's Blockaders, Refugees, & Contrabands: Civil War on Florida's Gulf Coast, 1861-1865 (1993) opened my eyes to the Gulf side of Florida's Civil War, emphasizing among other things Florida Unionists and the interplay between the U.S. Navy's East Gulf Blockading Squadron with white refugees and escaped slaves. Finally, Robert Taylor's Rebel Storehouse: Florida's Contribution to the Confederacy (1995) documented the state's raw materials and food supply importance to the Confederacy (a role that became increasingly critical as the war dragged on). These were followed by other interesting works. Most recently, I was impressed by Stephen Ash's Firebrand of Liberty: The Story of Two Black Regiments That Changed the Course of the Civil War (2008), Thunder on the River: The Civil War in Northeast Florida (2010) by Daniel Shafer, and Tracy Revels's new overview Florida's Civil War: Terrible Sacrifices (2016). Getting back to Weitz and Sheppard's upcoming anthology, the description suggests a thematically wide ranging collection of essays. They "examine the most significant military engagements and the guerrilla warfare necessitated by the occupied coastline. Contributors look at the politics of war, beginning with the decade prior to the outbreak of the war through secession and wartime leadership and examine the period through the lenses of race, slavery, women, religion, ethnicity, and historical memory." Sounds good to me. The only book honor exclusive to Trans-Mississippi Civil War topics, the Fort Worth Civil War Round Table's A.M. Pate Award is special to me. Not only does it concern itself with my favorite subject, but I also serve as something of a consultant to the selection committee. Each year, I am asked to submit a list of candidates, with the chair the only person privy to my winner recommendation. I don't have an actual vote in the proceedings, but it very often turns out that the committee and I are in agreement. That is certainly the case this year with Andrew Masich's Civil War in the Southwest Borderlands 1861-1867, a richly deserving winner. Congratulations to Mr. Masich and also to University of Oklahoma Press, which continues to publish top shelf scholarship on the Civil War era in the Far West. 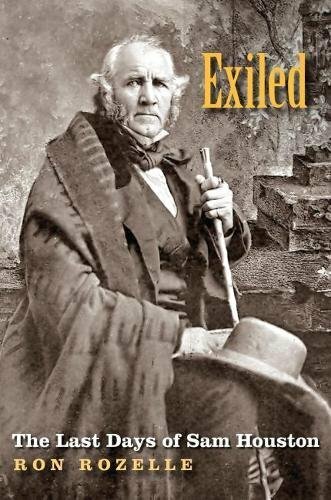 • Exiled: The Last Days of Sam Houston by Ron Rozelle (TAMU Press, 2017). Sam Houston's spectacular political career ended abruptly in 1861 when he was ousted from office for refusing to support the new Confederacy and Texas's place in it. "After an undisputed record of political achievement—leading the decisive battle for Texas independence at San Jacinto, serving twice as president of the Republic of Texas, twice again as a United States senator after annexation, and finally as governor of Texas—Sam Houston found himself in the winter of his life in a self-imposed exile among the pines of East Texas." More from the description: "After refusing to take an oath of loyalty to the Confederacy in 1861, Houston was swiftly evicted from the governor’s office. “Let me tell you what is coming,” he later said from a window at the Tremont Hotel in Galveston. “After the sacrifice of countless millions of treasure and hundreds of thousands of lives, you may win Southern independence if God be not against you, but I doubt it.” Houston died just two years later, and the nation was indeed fractured." Author Ron Rozelle's Exiled: The Last Days of Sam Houston probably could have used a more representative title. From looking at the table of contents and glancing through the pages, it appears that the volume devotes far more space to Houston's home and political life during the 1850s than it does to his Huntsville exile during the Civil War, with the secession crisis not arriving until chapter 20 (out of 25 total). I say this only to frame reader expectations, not to imply that the book necessarily has lesser value because of it. 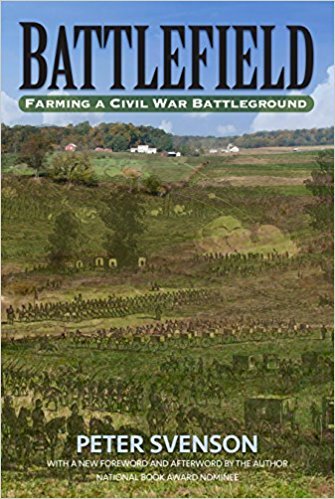 • Battlefield: Farming a Civil War Battleground by Peter Svenson (Burford Books, 2017). First published in hardcover in 1992, Peter Svenson's Battlefield: Farming a Civil War Battleground was a popular and critical success. A National Book Award finalist, the title sat on the shelves of practically every bookstore I visited during that decade. Burford Books reissued the book in a new 2017 paperback edition a short time ago. From the description: "Battlefield chronicles the author's experiences building a farmhouse on a forty-acre site near Harrisonburg, Virginia, which years before had been the site of the Civil War “Battle of Cross Keys,” in which Confederate forces stopped a Union advance and provided Stonewall Jackson with an important victory in his Shenandoah Valley campaign. Svenson intertwines a detailed description of the battle with self-deprecating accounts of a fledgling hay farmer attempting to farm his land while holding a new “army” of real-estate developers at bay. While reviving his long-neglected farmland, he unearths spent cartridges and artillery shells, and meditates on how best to commemorate the men who fell in battle on his forty acres. Exploring the intimate connections between landscape and history, Battlefield offers an engaging, reverent, and highly personal view of the Civil War and its ongoing legacy." The 2017 edition has a new foreword and afterword written by the author, and some new photographs of the battlefield have also been added. Svenson's afterword is particularly poignant. In 1994, before he sold the farm, Svenson had a preservation easement placed on the entire property through the Virginia Outdoors Foundation. Knowing that this would make selling the farm much more difficult and greatly decrease its market value, the move was a commendable sacrifice on Svenson's part, one that he thought worth it to ensure that the battlefield topography would remain unaltered in perpetuity. The author then revisited the farm fourteen years after its sale only to discover that the owner had years earlier proceeded to obliterate an important part of the battleground and reshape it into a horse riding ring, all with the apparent acquiescence of the VOF. It sounds like a smaller-scale version of the Fleetwood Hill stewardship debacle. • The Best Gun in the World: George Woodward Morse and the South Carolina State Military Works by Robert S. Seigler (USC Press, 2017). 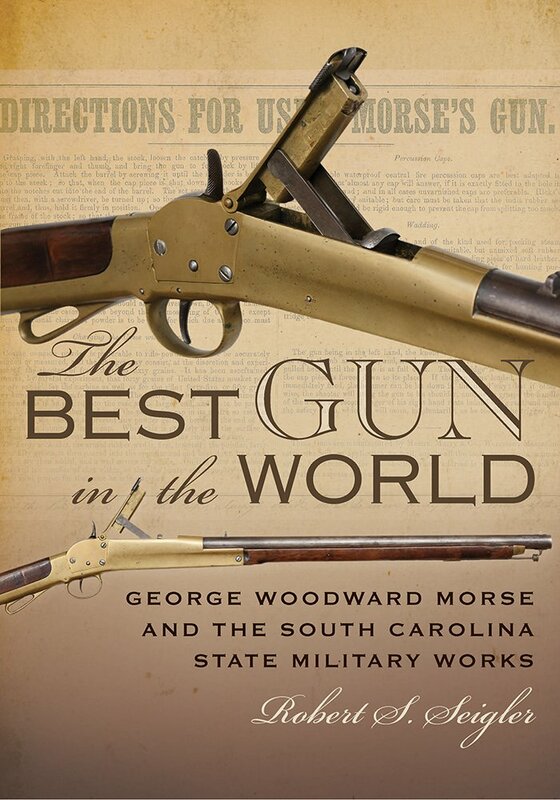 Robert Seigler's The Best Gun in the World explores the life of George Woodward Morse and discusses at length the inventor's rifled carbine and cartridge innovations. The book also delves into the history of the South Carolina state armory that produced the Morse Carbine during the Civil War. From the description: "George Woodward Morse, originally from New Hampshire, was a machinist and firearms innovator, who settled in Louisiana in the 1840s. He invented a reliable breechloading firearm in the mid-1850s to replace muzzleloaders that were ubiquitous throughout the world." "The U.S. War Department tested Morse rifles and cartridges prior to the beginning of the Civil War and contracted with the inventor to produce the weapons at Harpers Ferry Armory. However, when the war began, Morse, a slave-holding plantation owner, determined that he could sell more of his guns in the South." "The South Carolina State Military Works, originally designed to cast cannon, produced Morse’s carbine and modified muskets, brass cartridges, cartridge boxes, and other military accoutrements. The armory ultimately produced only about 1,350 Morse firearms." More historically significant than the carbine itself was Morse's breakthrough in ammunition technology. Morse "perfected the first metallic, center-fire, pre-primed cartridge," the descendants of which remain the standard today. In researching this study, the author "mined state and federal factory records, national and state archives, and U.S. patents for detailed information on weapons production, the salaries and status of free and enslaved employees, and other financial records to reveal an interesting, distinctive story of technological innovation and industrialization in South Carolina." Oddly enough, another book on the same topic was released earlier in the year, The Confederate Morse Carbine: Myth vs. Reality by Peter Schiffers. Richard Quest's I Held Lincoln: A Union Sailor's Journey Home (Potomac, May 2018) will examine the life of Union naval lieutenant Benjamin Loring, including his connection to one of the war's most infamous events. Loring was present at Ford's Theater on the night of April 14, 1865. "After the shot rang out, Loring climbed into the presidential box and assisted the dying president, helping to carry him across the street to the Peterson House. Using Loring’s recently discovered private journal, Richard E. Quest tells this astonishing lost story, giving insight into a little-known Confederate prison camp during the last days of the Civil War and providing much-deserved recognition to a man whose journey was nearly lost to American history." Undoubtedly, that part of the book will interest many readers, but I'm much more intrigued by Loring's naval career. "Covering almost a year of Loring’s service, I Held Lincoln describes the lieutenant’s command of the gunboat USS Wave, the Battle of Calcasieu Pass, the surrender of his ship, and his capture by the Confederates. He was incarcerated in Camp Groce, a deadly Confederate prison where he endured horrific conditions and abuse. Loring attempted to escape, evading capture for ten days behind enemy lines, only to be recaptured just a few miles from freedom. After an arduous second escape, he finally reached the safety of Union lines and gained his freedom." The May 6, 1864 Battle of Calcasieu Pass in Louisiana has not been entirely overlooked in the literature, but it has certainly been overshadowed by other successful Confederate land attacks on Union coastal and river shipping (e.g. Sabine Pass). In terms of shaping its historical appreciation and remembrance, the battle had the additional misfortune of taking place at the same time as the news-absorbing Red River Campaign. I am very much looking forward to reading what the book has to say about this engagement. Maybe it's just a random lull, but it seems like Nebraska's Civil War output has really dwindled in recent years, even with their acquisition of Potomac Books. Their Great Campaigns of the Civil War series has had only one first-run release over the past decade or so, and the This Hallowed Ground guidebook series that I like so much has slowed to a dribble as well. Hopefully, the press will get its own version of the Scott Frost effect going. GBR. 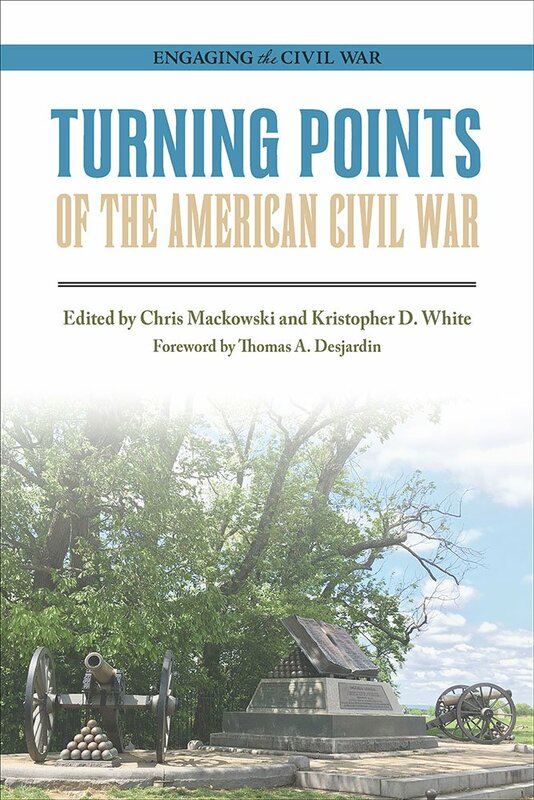 • Turning Points of the American Civil War edited by Chris Mackowski and Kristopher D. White (SIU Press, 2017). Much like its close cousins in the 'best general' or 'best regiment' lines of debate, arguing about Civil War turning points is always much more fun than it is useful. This is a general observation on the exercise not a particular jab at Turning Points of the American Civil War, which looks pretty interesting (I wouldn't plan on reading it if it didn't grab me in some way). The first publication to come out of a new partnership between Emerging Civil War and SIU Press (the Engaging the Civil War series), Turning Points "examine(s) key shifts in the Civil War and the context surrounding them to show that many chains of events caused the course of the war to change: the Federal defeats at First Bull Run and Ball’s Bluff, the wounding of Joseph Johnston at Seven Pines and the Confederate victory at Chancellorsville, the issuance of the Emancipation Proclamation, the Federal victory at Vicksburg, Grant’s decision to move on to Richmond rather than retreat from the Wilderness, the naming of John B. Hood as commander of the Army of Tennessee, and the 1864 presidential election. In their conclusion, the editors suggest that the assassination of Abraham Lincoln might have been the war’s final turning point." This makes a total of nine turning points offered for our consideration in the book, and each is preceded by a lengthy introduction written by the editors. If ECW's furious publishing pace elsewhere is any indication of what they have planned for this series, there will be many more to follow. They do already have a second volume in the works, Donald Pfanz's Where Valor Proudly Sleeps: A History of Fredericksburg National Cemetery, 1866–1933 (Spring 2018). by Berry Craig (Univ Press of KY, 2017). Historian Berry Craig has authored a number of Civil War Kentucky titles, mostly centering on the western part of the state. I liked his study of the pro-Confederate movement in the Jackson Purchase, Kentucky Confederates (2014). Pro-Confederate newspapers are his latest topic of interest. By Craig's estimate, nearly half the newspapers in the state leaned pro-Confederate in 1860. This was not representative of the sentiments of the population at large, but it gave Southern Rights partisans a strong propaganda forum. 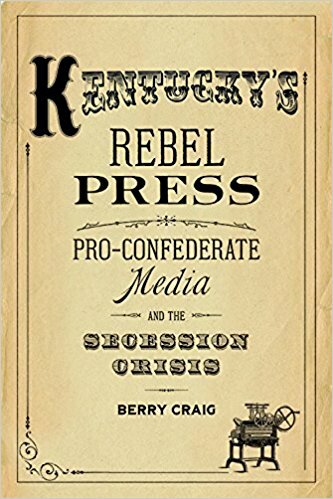 Kentucky's Rebel Press "analyzes the media's role in both reflecting and shaping public opinion during a critical time in US history. Craig begins by investigating the 1860 secession crisis, which occurred at a time when most Kentuckians considered themselves ardent Unionists in support of the state's political hero, Henry Clay. But as secessionist arguments were amplified throughout the country, so were the voices of pro-Confederate journalists in the state. By January 1861, the Hickman Courier, Columbus Crescent, and Henderson Reporter steadfastly called for Kentucky to secede from the Union." The book also "also showcases journalists who supported the Confederate cause, including editor Walter N. Haldeman, who fled the state after Kentucky's most recognized Confederate paper, the Louisville Daily Courier, was shut down by Union forces." Review of Ballard - "WILLIAM EDMONDSON "GRUMBLE" JONES: The Life of a Cantankerous Confederate"
Born into a prosperous SW Virginia farming family, William Edmondson Jones received a fine education at both Emory and Henry College and the United States Military Academy. Jones graduated in the respectable top quarter of his 1848 class at West Point and joined the army's mounted rifle regiment as a newly minted 2nd lieutenant. Eventually promoted to first lieutenant, most of his antebellum army service was spent on the frontier in Oregon and Texas. While en route to the latter posting, Jones suffered personal tragedy when his steamship ran aground just off the coast and his new wife was drowned. In 1857, Jones resigned from the army and became a promotional and sales agent for the Sibley tent. Joining the army of the CSA as a field grade officer in 1861, Jones steadily rose in rank and responsibility. He conducted numerous independent operations and participated in many eastern theater campaigns and battles before dying at the head of a small ad-hoc army during the June 5, 1864 Battle of Piedmont. All of the above and more are discussed at length in James Buchanan Ballard's William Edmondson "Grumble" Jones: The Life of a Cantankerous Confederate, the first complete biography of General Jones to appear in the Civil War literature. Civil War armies were full of famously prickly generals, but Jones is certainly noteworthy for having that undesirable quality reflected in his own nickname (though it might sound amusing or endearing to us today). There are many possibilities of where "Grumble" might have come from, among them the aforementioned personal tragedy and bitter feuds with superiors W.W. Loring in the old army and J.E.B. Stuart during the Civil War, but Ballard was unable to uncover any clear evidence of exactly when and where that appellation originated. Jones was well respected by most of his peers during the Civil War (most notably by both Stonewall Jackson and Robert E. Lee) and apparently didn't cause problems during his time at West Point, but he could also certainly rub brother officers (superiors and subordinates alike) the wrong way. What Ballard's treatment of Jones does make clear is that the general's "cantankerous" nature did not substantively hinder his military effectiveness. Over many chapters, Ballard's study offers a very thorough account of Jones's Civil War career leading Confederate cavalry at several different command levels. Jones began the war as a field grade officer in Stuart's 1st Virginia Cavalry. The book does not present a clear cut source for the animosity between Jones and Stuart, but it appears that clashing personalities probably had more than a little to do with it and both men apparently took an instant dislike to each other. Later on, Jones replaced Turner Ashby at the head of the 7th Virginia after the popular cavalryman was killed in action in June 1862. Over Stuart's objection, Jones was promoted to brigadier general in September 1862 and placed in charge of the Shenandoah Valley District. Though his failure to eject the much more numerous Union forces from the region led to his removal for political reasons, Jones retained his military reputation. In 1863, Jones made noteworthy contributions to three significant military events—the spring Jones-Imboden Raid into West Virginia, the June 9 Battle of Brandy Station, and the retreat from Gettysburg in early July— and all are well documented in the text. Throughout, Ballard employs an even-handed approach to his assessments of Jones's actions. After surviving a court-martial instigated by General Stuart, Jones was transferred from the Army of Northern Virginia to the Department of Southwest Virginia. There he protected the region's vital salt and lead mines, effectively cooperated with General Longstreet's extended expedition in East Tennessee, and threatened the Union hold on vital points like Cumberland Gap. In addition to justly raising the stature of Jones to a major figure in the 1863-64 campaigning in this comparatively isolated region, Ballard's narrative provides blow-by-blow accounts of a number of obscure clashes (including the November 5-6, 1863 expedition to Rogersville; the January 3, 1864 Battle of Jonesville; and the February 22, 1864 Battle of Wyerman's Mill). Finally, the book devotes an appropriate level of detail and attention to the Battle of Piedmont, noting along the way its clouding effect on the historical legacy and memory of General Jones. At the time, some were critical of Jones for leaving behind a prepared defensive position at Mowery's Hill and rashly moving forward to engage General Hunter's federal army at Piedmont. However, in defense of Jones, strong enemy forces were converging on the Upper Shenandoah, and the author advances a persuasive argument for the need to strike one of the enemy columns quickly before their combination might easily crush the outnumbered Confederates. Far less justifiable than the decision to fight at Piedmont was the massive gap that Jones inexplicably left in the center of his line. This tactical blunder on the part of Jones directly led to the collapse of his army and his own death while attempting to stem the rout. Without diminishing Jones's overall responsibility for the defeat, Ballard does fittingly suggest that initiative-challenged generals John C. Vaughn and John D. Imboden should share at least some of the blame for the catastrophic result. With Union forces pouring into the center's open void in full view of both men, neither came to the aid of Jones. It was a complete rout, and the author is almost certainly correct in deeming the Piedmont debacle the most crushing blow to the military legacy of Jones, who in death could not defend himself from his critics. The few general complaints with the book revolve around issues of presentation. There are an inordinate number of typographical errors in the text, and the maps, while plentiful in number, are rather rudimentary in nature. Also, at least two of the battle maps are misdated with the wrong year. In creating his narrative of the life and military career of Grumble Jones, Ballard did not have the benefit of a large collection of Jones papers. As we all know, this is not a unique impediment, and the author was successfully able to use other archival sources and a strong grasp of the existing literature to piece together a very solid study. 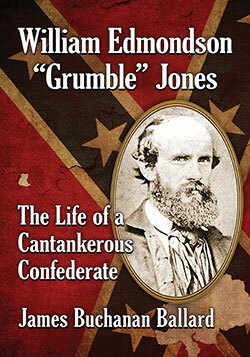 William Edmondson "Grumble" Jones: The Life of a Cantankerous Confederate offers readers a meticulous recounting and valuable contextualization of the Civil War service of a significant yet largely neglected military figure. by Andrew F. Lang (LSU Press, 2017). The U.S. Army briefly occupied the capital city and many other parts of Mexico until negotiations to end the 1846-48 conflict concluded, but the American Civil War really marked the first time the American military attempted to control hostile civilian populations on a mass scale, "inaugurating a tradition that persisted through the late nineteenth and early twentieth centuries and that continues to the present." Andrew Lang's In the Wake of War "traces how volunteer and even professional soldiers found themselves tasked with the unprecedented project of wartime and peacetime military occupation, initiating a national debate about the changing nature of American military practice that continued into Reconstruction." "Drawing on firsthand accounts from soldiers in United States occupation forces, Andrew F. Lang shows that many white volunteers equated their martial responsibilities with those of standing armies, which were viewed as corrupting institutions hostile to the republican military ethos." Emancipation and the large-scale use of black troops by the Union Army for garrison duties from the war's middle period onward added another factor into the mix. Those soldiers "embraced occupation as a tool for destabilizing the South’s long-standing racial hierarchy." The longer military occupation dragged on the more troubling and politically divisive its policy and practice became. "Ultimately, Lang argues, traditional fears about the army’s role in peacetime society, grounded in suspicions of standing military forces and heated by a growing ambivalence about racial equality, governed the trials of Reconstruction." 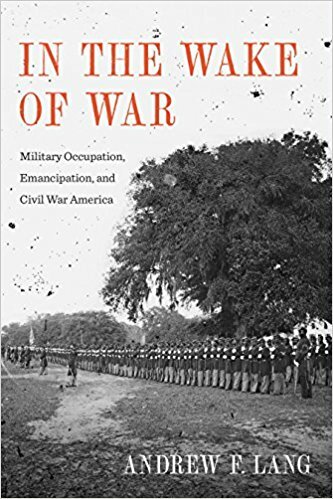 "Focusing on how U.S. soldiers―white and black, volunteer and regular―enacted and critiqued their unprecedented duties behind the lines during the Civil War era, In the Wake of War reveals the dynamic, often problematic conditions of military occupation." This one is definitely going into the 'to read' stack. Here's another title from the 2018 Kent State catalog that I thought might interest readers. It certainly appears that Robert Wynstra's At the Forefront of Lee’s Invasion: Retribution, Plunder, and Clashing Cultures on Richard S. Ewell’s Road to Gettysburg (October '18) will examine the Confederate advance north in a manner quite different from more traditionally constructed military accounts. From the description: "After clearing Virginia’s Shenandoah Valley of Federal troops, Gen. Robert E. Lee’s bold invasion into the North reached the Maryland shore of the Potomac River on June 15, 1863. A week later, the Confederate infantry crossed into lower Pennsylvania, where they had their first sustained interactions with the civilian population in a solidly pro-Union state. Most of the initial encounters with the people in the lush Cumberland Valley and the neighboring parts of the state involved the men from the Army of Northern Virginia’s famed Second Corps, commanded by Lt. Gen. Richard S. Ewell, who led the way as Lee’s veteran soldiers advanced north toward their eventual showdown with the Union army at the crossroads town of Gettysburg. ... Civilian property losses in the North amounted to several million dollars. The interactions along the way further laid bare the enormous cultural gulf that separated the two sides in the war. As Robert Wynstra explains, Ewell and his top commanders constantly struggled to control the desire among the troops to seek retribution for what they perceived as Federal outrages in the South and to stop the plundering, working to maintain strict discipline in the army and uphold Southern honor." More: "Despite the yearly flood of books on Gettysburg, the Confederate advance has been largely ignored. Most books devote only a few pages or a single short chapter to that aspect of the campaign. In this new study, Wynstra draws on an array of primary sources, including rare soldiers’ letters and eyewitness accounts published in local newspapers, manuscripts and diaries in small historical societies, and a trove of postwar damage claims from the invasion to fill in this vital gap in the historiography of the campaign." I suppose what one considers "largely ignored" is in the eye of the beholder. I am far from familiar with the publications associated with this limited geographical section of the campaign, but I do know that Scott Mingus has authored numerous books documenting different aspects of the Confederate advance between the crossing of the Maryland border into Pennsylvania and the Battle of Gettysburg. I don't know to what degree the Schildt and Gottfried books sharing the title Roads to Gettysburg cover Confederate interactions with Pennsylvania civilians. by Alice Elizabeth Malavasic (UNC Press, 2017). Everyone will agree that the "Slave Power" construct was a powerful rhetorical and propaganda tool for Republicans, one that the new party wielded with great success in both expanding its own support in the northern states and painting southern politicians and political practices as anti-republican. However, the conspiratorial characterization of the Slave Power along with the degree to which reality matched perception have always been open to question. The F Street Mess "push(es) back against the idea that the Slave Power conspiracy was merely an ideological construction." Author Alice Elizabeth Malavasic "argues that some southern politicians in the 1850s did indeed hold an inordinate amount of power in the antebellum Congress and used it to foster the interests of slavery. Malavasic focuses her argument on Senators David Rice Atchison of Missouri, Andrew Pickens Butler of South Carolina, and Robert M. T. Hunter and James Murray Mason of Virginia, known by their contemporaries as the 'F Street Mess' for the location of the house they shared." According to the author, the F Street Mess was in essence "a functioning oligarchy within the U.S. Senate whose power was based on shared ideology, institutional seniority, and personal friendship." I'm not sure if Malavasic is also arguing that the F Street Mess was exceptional. The Senate has always had individual members with outsized influence, and surely powerful blocs of "shared ideology, institutional seniority, and personal friendship" exist in the body to this day. Stephen Douglas needed southern support for the passage of the Kansas-Nebraska Act and that imperative by its very nature bestowed inordinate power upon those southern legislators. 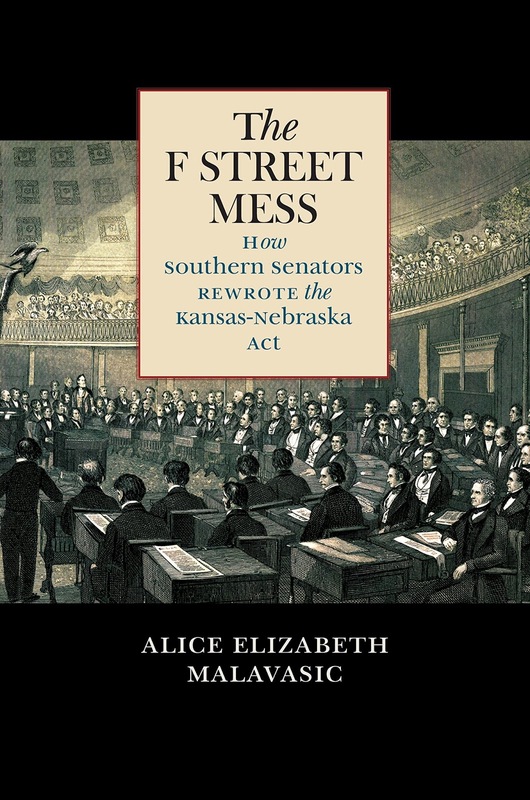 More from the description: "By centering on their most significant achievement--forcing a rewrite of the Nebraska bill that repealed the restriction against slavery above the 36 degrees 30′ parallel--Malavasic demonstrates how the F Street Mess's mastery of the legislative process led to one of the most destructive pieces of legislation in United States history and helped pave the way to secession." Kent State is one of the few university presses that release yearly instead of seasonal catalogs. I was thumbing through the 2018 edition and came across several interesting titles, one of which is John Selby's Meade: The Price of Command, 1863–1865 (October). It will be part of the press's excellent Civil War Soldiers and Strategies series. From the description: "George Gordon Meade has not been treated kindly by history. Victorious at Gettysburg, the biggest battle of the American Civil War, Meade was the longest-serving commander of the Army of the Potomac, leading his army through the brutal Overland Campaign and on to the surrender of Robert E. Lee and the Army of Northern Virginia at Appomattox. Serving alongside his new superior, Ulysses S. Grant, in the last year of the war, his role has been overshadowed by the popular Grant. 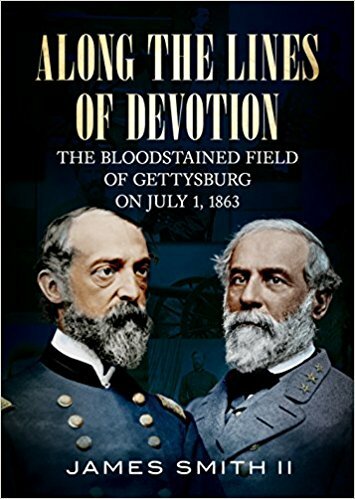 This first full-length study of Meade’s two-year tenure as commander of the Army of the Potomac brings him out of Grant’s shadow and into focus as one of the top three Union generals of the war." Thomas proponents don't like their man less than No. 1 let alone outside the top three altogether! More: "John G. Selby portrays a general bestride a large army he could manage well and a treacherous political environment he neither fully understood nor cared to engage. Meade’s time as commander began on a high note with the victory at Gettysburg, but when he failed to fight Lee’s retreating army that July and into the fall of 1863, the political knives came out. Meade spent the winter of 1863–64 struggling to retain his job while the Joint Committee on the Conduct of the War sought to have him dismissed. Meade offered to resign, but Grant told him to keep his job. Together, they managed the Overland Campaign and the initial attacks on Petersburg and Richmond in 1864." Most agree that the Grant-Meade command arrangement in the East was far from ideal, and I will be curious to read Selby's opinion on the matter. "By basing his study on the Official Records of the War of the Rebellion, original Meade letters, and the letters, diaries, journals, and reminiscences of contemporaries, Selby demonstrates that Meade was a much more active, thoughtful, and enterprising commander than has been assumed." I will also be interested in the author's assessment of the truly independent parts of Meade's Civil War career in army command, in particular the period beginning with the end of the Gettysburg battle and moving on through the rest of 1863. On a related note, this interval will also be examined at length over a planned trilogy of titles by Jeffrey Hunt, which has had a stellar beginning. 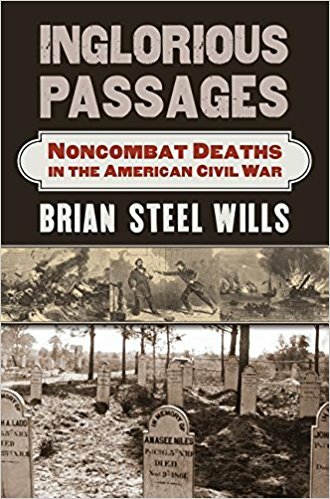 • Inglorious Passages: Noncombat Deaths in the American Civil War by Brian Steel Wills (Univ Pr of Kansas, 2017). I've been looking forward to this one ever since I saw the title pop up. Most particularly, I wanted to see what the author had to say about civilian deaths directly related to the war. Every once in a while a historian offers up some round number guess. It is one of the great mystery numbers of the war, and we'll probably never have a satisfactory answer. Inglorious Passages is the first comprehensive examination of non-battlefield deaths. "In letters, diaries, obituaries, and other accounts, eminent Civil War historian Brian Steel Wills finds the powerful and poignant stories of fatal accidents and encounters and collateral civilian deaths that occurred in the factories and fields of the Union and the Confederacy from 1861 to 1865. Wills retrieves these stories from obscurity and the cold calculations of statistics to reveal the grave toll these losses exacted on soldiers and civilians, families and society." Separate chapters explore camp deaths; rail accidents; natural events (presumably things like lightning, flash floods, raging rivers, etc. ); death by animal; duels and firearms accidents; water-borne fatalities on rivers and at sea; industrial accidents; military executions and POW deaths; and civilian "collateral damage." An appendix lists all of the troops from the state of Indiana that suffered death by accident. "In its intimate details and its broad scope, his book demonstrates that for those who served and those who supported them, noncombat fatalities were as significant as battle deaths in impressing the full force of the American Civil War on the people called upon to live through it." by Walter C. Hilderman III (2013). I was pleasantly surprised by the quality of this biography. Quite naturally, the book highlights the many negative aspects of Holmes's military career, but it also proved quite insightful in its recognition of some of the general's more favorable qualities and notable administrative achievements. 2. Joseph E. Johnston: A Civil War Biography by Craig L. Symonds (1992). Joe Johnston will always be controversial. He's one of the few very high-ranking Civil War generals that might find a place on both best and worst lists compiled by serious-minded people. Given the wide difference in opinion over his merits, in combination with the many profoundly important command appointments he held throughout the war, it's rather surprising that we don't have more biographies from which to choose. Symonds offers a solid, evenhanded study of Johnston's strengths and weaknesses. 3. Pemberton: A Biography by Michael B. Ballard (1991). Even though David M. Smith's masterful editing of Pemberton's written apologia [see Compelled to Appear in Print: The Vicksburg Manuscript of General John C. Pemberton (1999)] provides us with a very underrated analysis and understanding of Pemberton's actions during the Vicksburg Campaign, it's undeniable that the northern-born Confederate general made a bad botch of things during the mobile phase of Grant's masterpiece. As others have argued, Ballard's biography makes the case that Pemberton's talents best suited him to desk work rather than field generalship. 4. General Sterling Price and the Civil War in the West by Albert Castel (1968). Sterling Price has been the subject of a few biographies, none of them recent. Though a bit dated at this point, Castel's study, which appeared after Ralph Rea's book and a few years before Robert Shalhope's, is regarded by most as the best overall treatment. I certainly wouldn't mind seeing another scholar take a shot at it. 5. The Life and Wars of Gideon J. Pillow by Nathaniel Cheairs Hughes Jr. and Roy P. Stonesifer Jr. (1993). Pillow's generalship is universally panned by scholars and enthusiasts alike, but Hughes and Stonesifer's book reminds readers that there was more to Pillow's service than the embarrassing debacle at Fort Donelson and accusations of cowardice at Stones River (ex. Pillow helped create and organize what would eventually become the Army of Tennessee, and he directed recruitment and conscription efforts in the western theater). by Forrest A. Nabors (Univ of Missouri Pr, 2017). Reconstruction studies have reemerged in a big way over the past few years, with major works from Douglas Egerton, Mark Summers, Richard White, and others. Numerous additional books examine the topic in part or in full, and from a great variety of perspectives. The newest contribution to the literature is Forrest Nabors's From Oligarchy to Republicanism: The Great Task of Reconstruction. 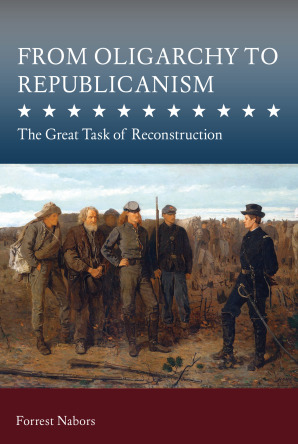 In it, Nabors "shows that the ultimate goal of the Republican Party, the war, and Reconstruction was the same. This goal was to preserve and advance republicanism as the American founders understood it, against its natural, existential enemy: oligarchy. The principle of natural equality justified American republicanism and required abolition and equal citizenship. Likewise, slavery and discrimination on the basis of color stand on the competing moral foundation of oligarchy, the principle of natural inequality, which requires ranks." Of course, one of the major Republican objections to slave state political systems was their inclusion of slave populations when determining representation. "This contributed to the non-slaveholders’ loss of political liberty in the slave states and provided a direct means by which the slaveholders acquired and maintained their rule over non-slaveholders." More from the description: "This book presents a shared analysis of the slave South, synthesized from the writings and speeches of the Republicans who served in the Thirty-Eighth, Thirty-Ninth or Fortieth Congress from 1863-1869. The account draws from their writings and speeches dated before, during, and after their service in Congress. Nabors shows how the Republican majority, charged with the responsibility of reconstructing the South, understood the South. Republicans in Congress were generally united around the fundamental problem and goal of Reconstruction. They regarded their work in the same way as they regarded the work of the American founders. Both they and the founders were engaged in regime change, from monarchy in the one case, and from oligarchy in the other, to republicanism. The insurrectionary states’ governments had to be reconstructed at their foundations, from oligarchic to republican. The sharp differences within Congress pertained to how to achieve that higher goal." 1. Burnside (1991) by William Marvel. I initially wanted to put a Ben Butler book somewhere on this list but quickly discovered that I don't know enough about any of the existing biographical treatments. Though both individuals have gained favor in different ways in the more recent scholarly literature, certainly Ambrose Burnside still joins Butler on any enthusiast top 10 list of worst Civil War generals. Marvel was perhaps the first respected historian to attempt a serious rehabilitation of Burnside's military career, and his work has had lasting influence. The biography is certainly good by any measure. Pathfinder provides a good overall picture of Fremont's life as famous explorer, military officer, and politician, but it is rather disappointingly thin on his Civil War career (only a single chapter in a very large book, if I recall correctly). I'm still waiting for someone to write a book-length study of Fremont's controversial 100 days in command of the Department of the West. It's been a long time since I read this (it was probably sometime around its release), but I seem to remember it leaving me with a fairly favorable impression. Unlike Marvel, Hollandsworth doesn't present Banks as an unfairly maligned military figure. Given the literature's greater appreciation of what political generals meant to Union victory, I wouldn't be surprised to see new biographies of Banks, Butler, and others sometime in the foreseeable future. 4. Don Carlos Buell: Most Promising of All (1999) by Stephen D. Engle. In terms of conservative political outlook and war fighting style, Buell is most often compared to McClellan, though he hasn't benefited from the small pockets of support (or at least sympathy) that Mac has maintained over the years. Engle's book is the first and only (I think) modern, full biography of Buell's life and military career. It also provides a useful examination of a high-ranking general who couldn't survive the transition between limited war and hard war, though I believe that Ethan Rafuse's McClellan's War is the current gold standard for rigorous engagement in that difficult conversation. 5. The Yankee Dutchman: The Life of Franz Sigel (1993) by Stephen D. Engle. Engle has the honor of having two of his books make the list. Sigel had that maddening combination of being both incompetent and profoundly difficult to work with. Others have cited Sigel's conduct on the decisive day at Pea Ridge being his one shining moment during the war, but I would hesitate to give him even that. Yankee Dutchman provides a well-rounded treatment of Sigel's contributions to the war effort, both on and off the battlefield. 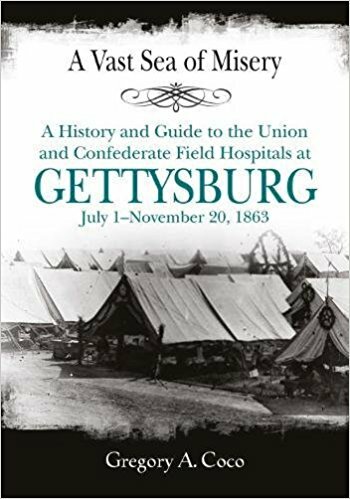 • A Vast Sea of Misery: A History and Guide to the Union and Confederate Field Hospitals at Gettysburg, July 1-November 20, 1863 by Gregory A. Coco (Savas Beatie, 2017). When the opposing armies departed Gettysburg, they left behind 21,000 wounded men. The "maimed and suffering warriors could be found in churches, public buildings, private homes, farmhouses, barns, and outbuildings. Thousands more, unreachable or unable to be moved remained in the open, subject to the uncertain whims of the July elements." First published in 1988 and just now reprinted by Savas Beatie in paperback format with a new preface, Gregory Coco's A Vast Sea of Misery is still considered an essential part of the Gettysburg library. A detailed register of the 160 field hospitals that cared for the sick and wounded, the volume contains numerous photographs and hand-drawn maps that support the site descriptions, which also include selections of anecdotes and excerpts from soldier and civilian firsthand accounts. In the appendix section, readers will discover a list of Union and Confederate surgeons, brief discussions of how the wounded would find field hospitals or be transported to them, and a collection of interesting and/or unusual medical observations. • A Strange and Blighted Land: Gettysburg - The Aftermath of a Battle by Gregory A. Coco (Savas Beatie, 2017). Also highly regarded is Coco's A Strange and Blighted Land, which followed Misery in 1996 (both first editions were released by Thomas Publications). The Savas Beatie paperback edition to this title also includes a new preface. From the description: "Arranged in a series of topical chapters, A Strange and Blighted Land begins with a tour of the battlefield, mostly through eyewitness accounts, of the death and destruction littering the sprawling landscape. Once the size and scope is exposed to readers, Coco moves on to discuss the dead of Gettysburg, North and South, how their remains were handled, and how and why the Gettysburg National Cemetery was established. The treatment of the wounded, Union and Confederate, was organized chaos. Every house and barn became of hospital or medical station, and the medical and surgical practices of the day were little short of compassionate torture. 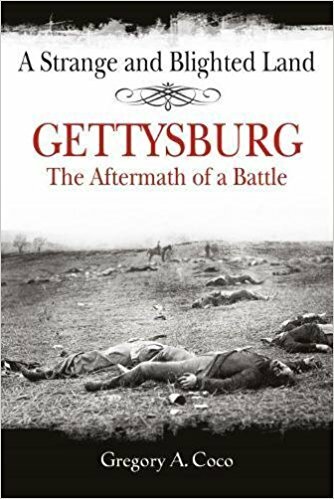 The author also discusses at length how prisoners were handled and the fate of the thousands of stragglers and deserters left behind once the armies left before concluding with the preservation efforts that culminated in the establishment of the Gettysburg National Military Park in 1895." The book bills itself as the first complete biography of Jones to appear in print, and I don't have any reason to believe otherwise. I can't think of another one. As an irrelevant aside, I'm a little amused by the author's name. The convention of naming kids after favored presidents or other major American historical figures isn't what it used to be, and I wonder if Ballard's first and middle names are mere coincidence or his parents really do think the 15th president has gotten a bad shake. Anyway, getting back to Jones, he's certainly deserving of a call up from the sidelines. If I recall correctly, Eric Wittenberg, who has written extensively about many of the actions that Jones was involved in during the war, considers him one of the Confederacy's most underrated cavalry generals. Ballard's biography spends around 80 pages on Jones's early life, his West Point and antebellum army days, and the brief civilian period between his 1857 resignation from the army and the beginning of the Civil War. Coverage of cavalryman Jones's Civil War career appears to be pretty thorough, and the bibliography is at the very least suggestive of a serious research effort. Jones's brigade was arguably the hardest fighting one at Brandy Station, and Jones and his men also fought with distinction on the retreat from Gettysburg. In addition to feuding with J.E.B. Stuart, he's also known today for his long 1863 West Virginia cavalry raid (the Jones-Imboden Raid) and for being killed in action fighting at the head of the small Confederate Shenandoah army defeated at the Battle of Piedmont on June 5, 1864.
Review of Robinson - "A UNION INDIVISIBLE: Secession and the Politics of Slavery in the Border South"
By now, surely most readers operate under the assumption that the American South never possessed anything like a monolithic body politic. Recent scholars have produced numerous works recognizing the vast section of the country below the Mason-Dixon Line as a layered aggregation of distinctive social, political, and economic sub-regions. Therefore, it should come as no surprise that southern reactions to Lincoln's election in 1860 would vary, with no unanimity of feeling regarding either the depth of any assumed dangers posed by the victorious Republicans or how best these concerns might be remedied. Indeed, any person traveling northward from the Lower (or Deep) South to the Upper South and finally to the Border South would have encountered at each stage a steadily diminished fervor for secession as the preferred solution to the crisis. As in most parts of the Upper South, in the Border South (the states of Missouri, Kentucky, Maryland, and Delaware) it was widely believed that slavery was best preserved through continued enjoyment of the protections traditionally guaranteed and maintained by the federal government. To these proslavery moderates, secession only meant chaos, war, and slavery's inevitable destruction (sooner rather than later). It is this border state brand of proslavery Unionism that is the subject of Michael Robinson's A Union Indivisible: Secession and the Politics of Slavery in the Border South. In it Robinson examines the Border South's inner war pitting majority proslavery moderates against minority secessionist "fire-eaters," a political contest that would prove critically important to the course and outcome of the Civil War. Using the common terminology, Robinson's study groups Border South citizens (he also calls them "borderites") into three major factions: unconditional Unionists, conditional Unionists, and Southern Rights advocates/secessionists. The political views of the great majority of voters in the region resided somewhere along the spectrum of conditional Unionism, on middle ground that would prove increasingly precarious over the period examined in the book. As demonstrated in the text, the loyalty and political supremacy of conditional Unionists would be sorely tested throughout 1861 by forces inside and outside the confines of the Border South. Everyone acknowledges that John Brown's 1859 raid on Harpers Ferry sparked a general crisis in North-South relations, but Robinson usefully centers his own study's attention on the failed insurrection's effect on perhaps the nation's most important intersectional bond, the stabilizing political alliance between border southerners and Lower North moderates. In the tumult that followed the failed raid, northern denunciations of Brown became lost amid southern fears that abolitionist support in the North was far more widespread and militant than previously believed. Before Harpers Ferry the Kansas-Missouri violence was viewed by most border southerners as a far off frontier exception to the rule, but after the raid more and more individuals in Kentucky and Maryland began to see it as a harbinger of their own future. Even though the rapid dispatch of U.S. Marines to Harpers Ferry quickly crushed the uprising, Border South confidence in the federal government's ability to safeguard southern lives and property was badly shaken. According to Robinson, the Brown affair was the chief factor in ending all hopes of creating a broad anti-Democrat alliance that would include Republicans (though he perceptively observes that the odds of such a thing being carried off were slim to none from the very beginning). Fusion proponents hoped to achieve two major goals, the destruction of the Democracy and the moderation of the Republican rank and file (the assumption regarding the latter being that the most radical elements would be marginalized in order to widen the fusion ticket's electoral appeal). As the author notes, the bad timing of Brown's Raid, in combination with the stormy vote over the speakership of the House and the upcoming national election's promise of further divisiveness, thoroughly eroded feelings of cooperation between sections and also helped rob many Border State citizens of their own much treasured moderation. Given that the heart of Constitutional Union Party support was located in the Border South and Upper South, there is substantial emphasis in the book on that new party's failed attempts at sectional reconciliation. Like historian Michael Holt also did in his very recent study of the 1860 election, Robinson persuasively presents the party as well intentioned regarding the saving of the Union but badly managed, with fundamental flaws in composition and strategy (i.e. a substantial age gap at the top, a 'say nothing' platform, and a party message widely seen as unprincipled in a time of extreme partisanship). History is replete with examples of small, zealous radical groups overawing and defeating more moderate majorities, and Robinson's study effectively reminds us that the Border South strain of Unionism was strong yet also precarious enough to require constant vigilance and aggressive activity for its maintenance. During the months following Lincoln's election, a pro-Union political "offensive" kept in check increasingly dangerous secessionist elements. According to Robinson, the sustained floating of compromise proposals of sufficient power to keep moderates in the fold proved to be one of the most important weapons in the border Unionist arsenal. As mentioned before, the overall message helped convince the majority that slavery was best protected within the Union and that secession inevitably meant war and emancipation. The author also interestingly cites a less talked about tool of persuasion, a concept of southern honor peculiar to the Border South. While secessionists tried to exploit the traditional southern honor code in order to whip up support for disunion, Border State moderates turned this weapon around on its own wielders by accusing those radicals of trying to shield themselves behind the Border South in a cowardly manner. Attached to this was a strong honor-based objection to Lower South attempts to control the Border South's future, with submission to the Lower South an anathema equal to submission to the North. Most Border South citizens also realized that they would dominated by their brethren economically and politically in any new Confederacy of slave states. Such a lowered status was distinctly unappealing to a region that fancied itself vital to the growth and stability of the United States. Throughout this fragile period, border Unionists relentlessly and effectively employed all means of popular persuasion to sustain their cause, and they used every parliamentary maneuver in the book to defeat all attempts to pass secession-friendly legislative measures. Even so, this Unionist offensive would be challenged during the period approaching Lincoln's inauguration, when Republicans closed ranks against any possible compromise that would be acceptable to Southern Rights advocates and the threat of "coercion" became heightened. Lincoln's pre-inaugural silence, the hard line stance of the victorious Republicans, and the failure of the Washington Peace Conference to hammer out any kind of mutually acceptable adjustment all made the the job of the proslavery Border South Unionist much more difficult. But once again Kentucky's John Crittenden came to the rescue. Coming out of his intended retirement to deliver a rousing pro-Union speech in Frankfort and organize a border state conference for late May, the heir to Henry Clay yet again outmaneuvered secessionists by keeping the hope of compromise alive during the dangerous transition period into the Lincoln presidency. The greatest stress test to the conditional Unionism of the Border South majority was Lincoln's nationwide call for 75,000 volunteers to crush the rebellion after the Confederate bombardment and capture of Fort Sumter, which was followed by bloody riots in Baltimore and later St. Louis. It was Sumter and Baltimore in particular that caused Border South moderates to lose their Lower North allies along with much of their hope for an enduring compromise solution to the crisis. As Robinson shows, even in this hostile climate Unionists in Missouri, Kentucky, Maryland, and Delaware were able to yet again defeat the growing fire-eater element through superior political organization, strategy, and maneuver. Robinson also points out a fortuitous element of historical contingency at work. The firing on Ft. Sumter and Lincoln's call to war occurred mere weeks after the legislatures of Missouri and Kentucky went home on break. If both bodies were in session, even though the Unionists had already spent months ensuring that no quick mechanisms for secession was put in place, there is no telling exactly what might have occurred at such a moment of heightened emotion over the long-dreaded threat of coercion becoming real. At this point, something else was needed to sustain the Unionist offensive. Replacing the fading (or rather dead at this point) promise of sectional compromise was the widespread appeal, particularly among moderates, of the new Border State policy of armed neutrality. Clearly a flawed solution, state neutrality meant different things to different groups, and no one expected it to last forever. Unionist leaders like Crittenden in Kentucky and Governor Hicks in Maryland thought it the best and only way to cool passions, keep the fire-eaters at bay, and ensure that their homes would not become the seat of war. On the other side, Governor Jackson of Missouri tried to use neutrality as a means of gaining vital breathing room for his state to arm itself and eventually join the Confederacy. Jackson's machinations aside, Robinson is largely persuasive in presenting neutrality as a sincere political strategy, quite different from the cynicism attached to it by contemporary critics as well as most of today's historians. While it's impossible to know what might have happened otherwise, Robinson does plausibly argue that neutrality alone might not have sustained Border South Unionism in the face of expanding war and that the mass of federal bayonets in Maryland and Missouri in 1861 was probably essential to crushing the secessionist threat once and for all. Through the summer of 1861 when neutrality clearly no longer became an option anywhere, Border South Unionists shifted the chief thrust of their winning political message yet again by convincing the populace that slavery was safe and the war was being fought only to restore the Union. Even after Crittenden's border state convention turned out to be a fizzle, pro-Union congressional candidates defeated Southern Rights candidates in nearly all districts in Maryland and Kentucky (these elections had been moved up to June so that the most representative candidates could be present when Congress returned to session in July). That Unionist candidates won victories in nearly all districts with the highest slave populations leads the author to conclude that Border South belief continued to run strong that the institution was best preserved by staying the course. Another factor helped the cause, too. While acknowledging war's general tendency toward dislocation, Robinson convincingly interprets the fall in voter turnout between 1859 and 1861 (particularly in Maryland) as indicative of high numbers of Southern Rights adherents leaving those states. Robinson's comparative demographic analysis, incomplete as it is, nevertheless supports the general observation (drawn from available voting and census data along with the manuscript record) that Border South citizens and delegates with the deepest personal ties to slavery most often viewed the Union as the safest and best guarantor of their property rights. However, ever increasing northern hostility combined with the First Confiscation Act and General Fremont's emancipation edict in Missouri (quickly rescinded by Lincoln) caused many to fear the future. From the evidence presented in A Union Indivisible, one might make a strong argument that the triumph of Unionism in the Border South was the most important political victory of the twelve-month period following Lincoln's election. Fall 1862 and summer 1864 are the most frequently cited moments of extreme crisis for the Union, but this book clearly demonstrates that the Border South's turbulent 1861 summer deserves similar consideration with those other seasons of emergency. Though Robinson doesn't make the case for that kind of comparison in the book, it seems he would more than likely approve of it. He would almost certainly agree that the triumph of Unionism in the Border South was chiefly due to the constant vigilance and strategic effectiveness of its homegrown leaders, who deftly confronted and defeated the fire-eaters in their midst and weathered more than a few counterproductive challenges from the Lincoln administration and the army. 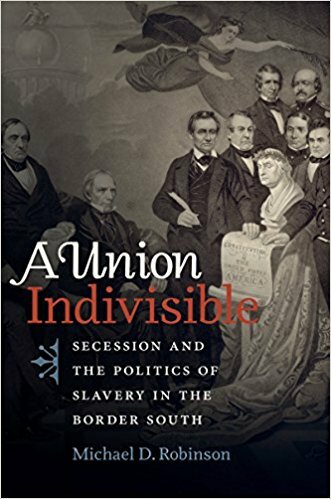 Robinson's study consolidates and greatly improves our understanding of Border South proslavery Unionism and the many factors behind its success during one of the most dangerous times in U.S. history. Highly recommended. by James Smith (Fonthill Media, 2017). Description: "The fighting that began on July 1, 1863 in Gettysburg built the foundation to what would become known as the bloodiest battle ever fought on American soil, yet locations such as McPherson's Ridge, Oak Hill, and Barlow's Knoll remain some of the most overlooked locations around the battlefield. Cast into the shadows of much more scenic locations, such as Little Round Top, Devil's Den, the Wheatfield, and others, it is easy to drive right through one of these iconic locations of the battlefield. This comprehensive narrative shines light on this portion of the battlefield that is so often overlooked." "Beginning on June 9 and taking the reader through July 1, the author describes in detail the movement of troops, human interest stories, humorous accounts and detailed descriptions of the men present at the battle." The volume looks like a popular-style narrative synthesis based on a limited selection of published primary and secondary sources. 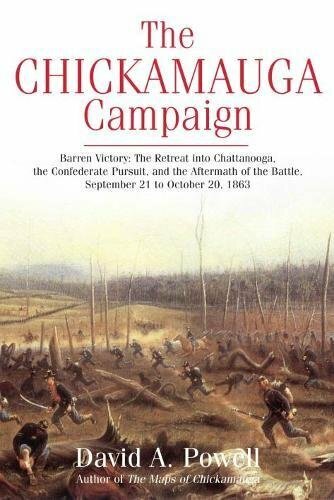 • The Chickamauga Campaign―Barren Victory: The Retreat into Chattanooga, the Confederate Pursuit, and the Aftermath of the Battle, September 21 to October 20, 1863 (2017) by David A. Powell (Savas Beatie). 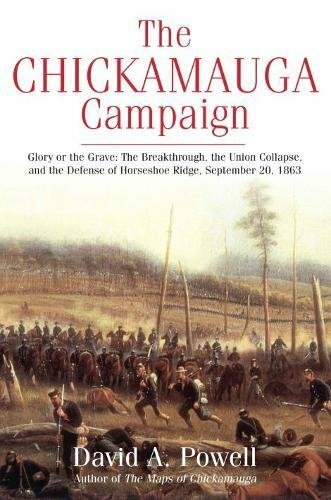 The concluding volume of David Powell's award-winning Chickamauga Campaign trilogy was published in 2016, and a bit over a year later all three books have been reprinted in paperback format. The final two volumes arrived here together. See the description excerpts below for a recap. Glory or the Grave: "This installment of Powell’s tour de force depicts the final day of battle, when the Confederate army attacked and broke through the Union lines. The massive rout that ensued was ameliorated somewhat by an incredible defensive stand atop Horseshoe Ridge, which Powell carefully dissects at the regimental level." Barren Victory: "The narrative opens at dawn on Monday, September 21, 1863, with Union commander William S. Rosecrans in Chattanooga and most of the rest of his Federal army in Rossville, Georgia. Confederate commander Braxton Bragg has won the signal victory of his career, but has yet to fully grasp that fact or the fruits of his success. Unfortunately for the South, the three grueling days of combat broke down the Army of Tennessee and a vigorous pursuit was nearly impossible. In addition to carefully examining the decisions made by each army commander and the consequences, Powell sets forth the dreadful costs of the fighting in terms of the human suffering involved. Barren Victory concludes with the most detailed Chickamauga orders of battle (including unit strengths and losses) ever compiled, and a comprehensive bibliography more than a decade in the making."